An eight-part video series on new insights from neuroscience into our loving nature. These CE credits are available for this eight-part video series. Analyze and discuss different ways to use the power of neuroplasticity. Recognize how the mind changes the brain. Identify the link between empathy for yourself and empathy for others. Demonstrate practices for strengthening and expressing compassion and kindness. Prepare to find your own way to contribute to the larger whole. For the first time, we now have scientific evidence that we can consciously rewire our own brain to cultivate compassion, kindness, and love. With The Compassionate Brain, neuropsychologist Dr. Rick Hanson, author of Buddha’s Brain, presents an eight-part video series that explores the most powerful and effective ways you can create positive, lasting changes in your brain—and your life. 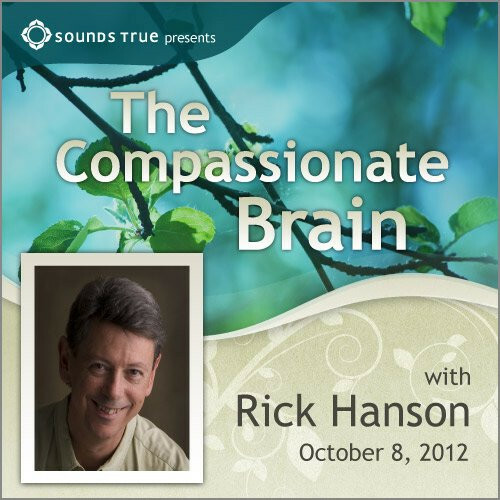 Dr. Rick Hanson speaks with seven leading scholars and teachers on neuroscience or meditation to explore the research and practices that support you in reshaping your brain for compassion and happiness. The entire series is yours to keep and enjoy. Each session, Dr. Hanson joins a leading scholar or teacher to investigate our growing understanding of the way meditation practice can affect our neurobiology. Together they discuss the research behind neuroplasticity—our natural capacity to change the neural pathways in our brain—and examine which meditation practices seem to have the most positive effect on the human nervous system. Dr. Hanson and his guests will explore valuable insights, discoveries, and techniques—with a focus on practices that help us to create lasting changes in the way we react to and perceive the world. Dr. Rick Hanson wraps up the series, summarizing the key insights and the practical steps we can take to make real changes in our lives. “Perhaps the most valuable result of our new discoveries about neuroplasticity,” says Dr. Rick Hanson, “is that it helps us bring our brain into harmony with the greatest virtues of our heart.” With The Compassionate Brain video event series, Dr. Rick Hanson invites you to join him and his seven guests to explore the profound implications of this cutting-edge science—and how you can use it to guide your own transformation. Excellent. Stars in the field. Very enjoyable and economical to boot. Please offer more in these areas. I am very grateful for having the opportunity to receive this valuable information. The participants are the tops in their field and the format was informal, yet informative. The interviews prompted me to go back and reread the books of the presenters with whom I was already familiar. It also spurred me to read the research of the presenters whose work I had not read previously. I appreciate the balance of published scientific research and applied clinical strategies. The series was/is invaluable to me. Each speaker offered such insight into compassion and its practice. The CE units were affordable, and I enthused about the course to friends without reservation of any kind.